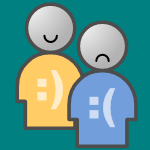 Judging from the view-counter and download stats for our post: Free Visio People Shapes, people just love free people shapes! Well let the love-fest continue! We recently stumbled upon a Visio page from <Low Zorro Voice> El Visioso </Low Zorro Voice> and found a keeper that we’d like to share with you! <Antonio Banderas> El Visioso </Antonio Banderas> has braved the dark waters of Visio’s ShapeSheet and added some pretty nifty options to his Emotional Little Dude. 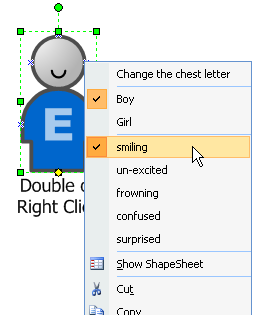 All you need to do is right-click on the little guy and in an instant, you can brighten-up his day, cast a dark shadow, startle him, bewilder him, or bore her to death. Or perhaps you can incorporate them into your value-added BPM diagram to effectively communicate your business needs. Thanks, <Cheech> El Visioso </Cheech> ! 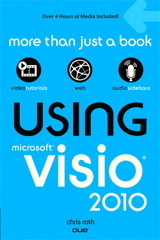 This is nice but it doesn’t work in Visio 2007. The shirt color becomes a little circle by the left hand. NM, I figured it out. You can’t apply a theme to the shape or the shirt color will break. Just select ‘remove theme’ if you’re using one, and then you can protect the shape from theme colors and effects. Not sure how these react, as they are from El Visioso and not created by Visio Guy. Love it !! Thanks !! The link is dead… anybody may upload it or share it ?